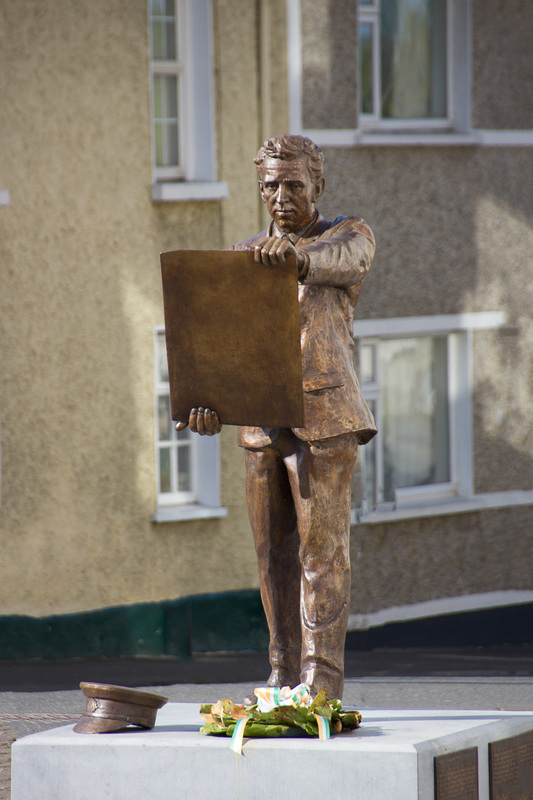 As 2016 sees Ireland celebrates the centenarry of the Rising I was honoured to be commissioned to make a bronze statue of Thomas MacDonagh. 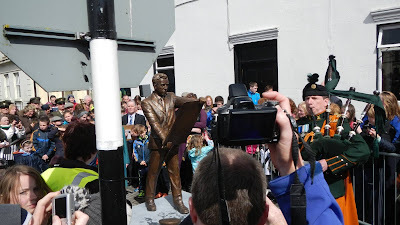 The statue was to be placed in his home town Of Cloughjordan, County Tipperary. 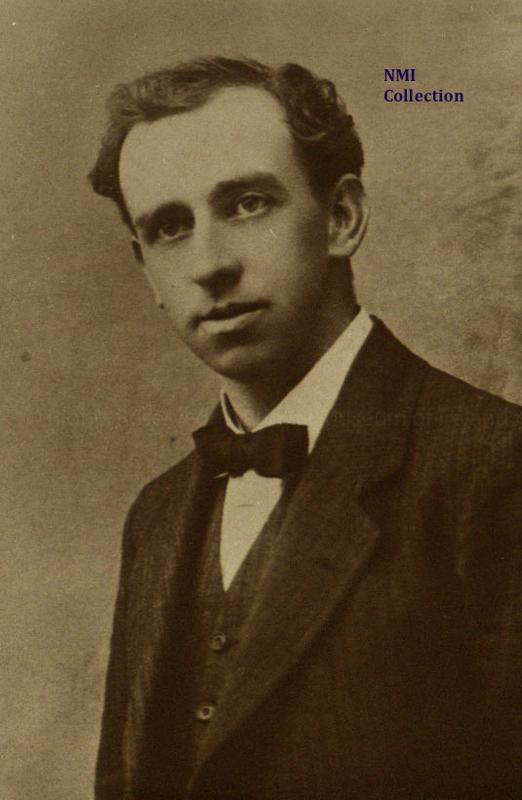 He was a signatory of the Irish proclamation and took part in the rebellion and was executed for his involvement. 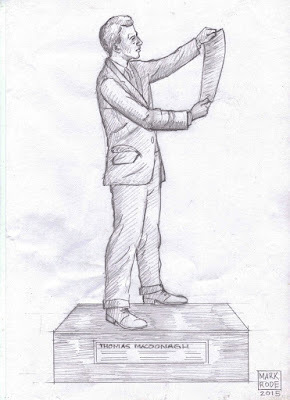 As I studied him I realised he was not a soldier but a teacher and a poet and so I tried to portray a thoughtful man. The fact that he was one of the seven men that signed the proclamation and that not many people had read this interesting document convinced me to design a sculpture that would display the proclamation. This way I could show the figure in deep contemplation in a moment in time and also allow viewers to intereact with the statue and read the document. 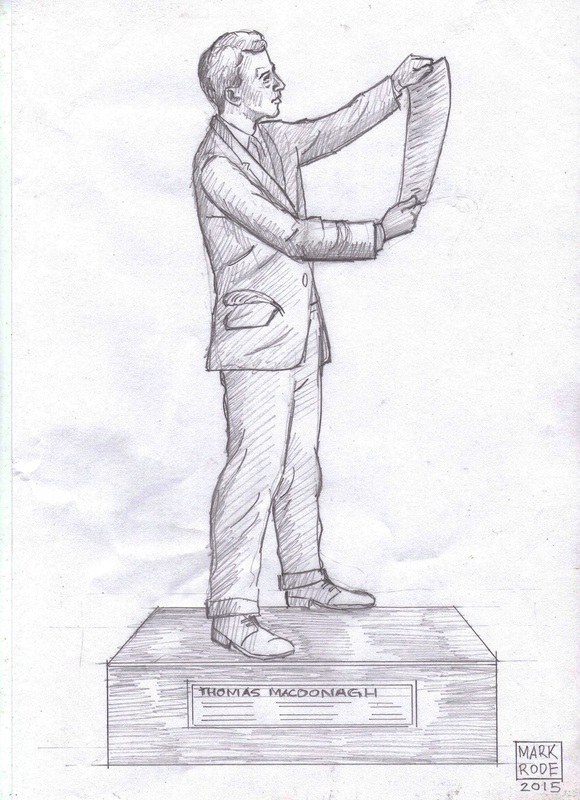 And so I developed a series of sketches and the committee in Cloughjordan chose this one though the design changed slightly when I realised how big the document was and I had to lower it as not block the view of his face. I spent a lot of time modelling his face as I wanted bring out the humanity of the character and to ensure that it was in no way pompous or triumphant. The people of Cloughjordan organised a fantastic event for the unveiling which was done by Thomas MacDonagh's granddaughter Muriel McAuley. 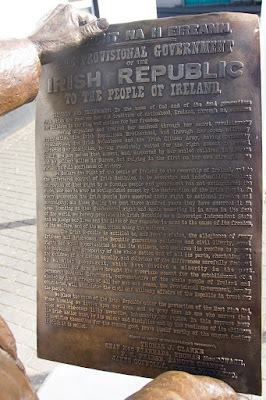 A video of the unveiling published by The Irish Times. 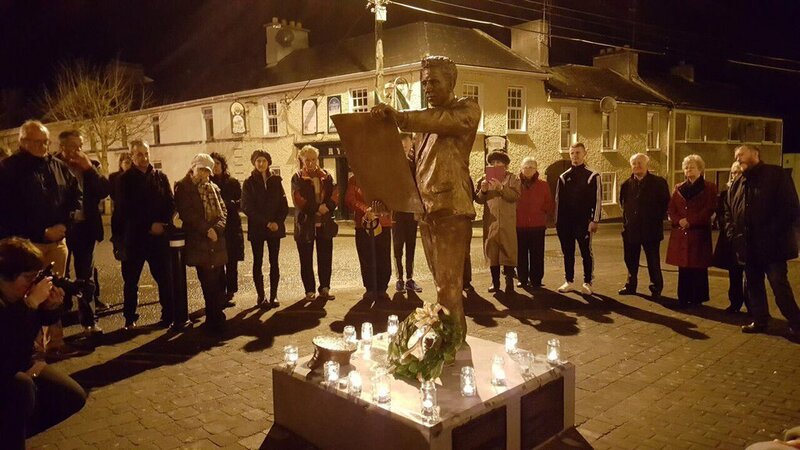 At 3 am the next morning a vigil was held as it was exactly 100 years ago that he was executed. All in all this was a significant, challenging and ultimately rewarding project. Thanks to Louise Joyce and Jacinta Guinan for the photographs.